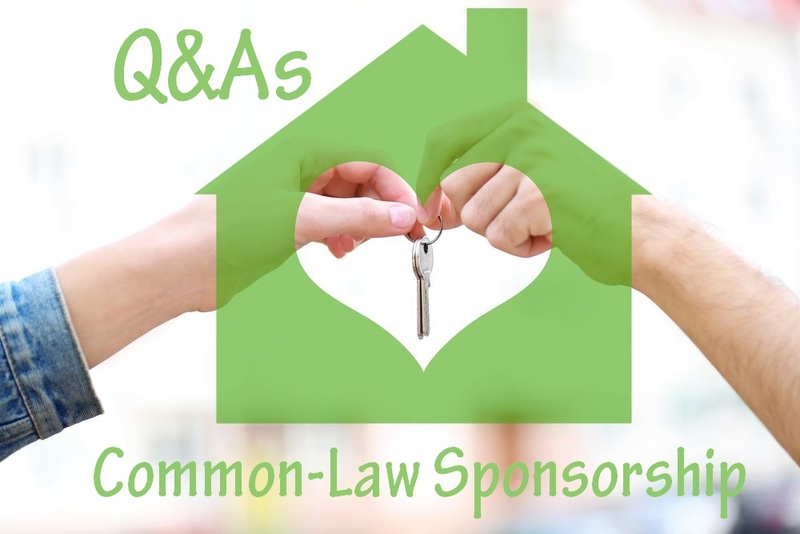 Q: Before submitting a Common-Law Sponsorship, I would like to know what a Common-Law Partner is? It is important to note that any given time spent away from each other must be short and temporary. If the periods are long, you may not qualify for Common-Law Sponsorship. Furthermore, once a common-law partner decides to end the relationship, the partnership would then also be over. Q: Once I know that both me and my partner qualify as a Common-Law Partnership, how can we prove that we have lived together for one year? Shared bills, such as gas, electricity, telephone, etc. Any important documents with both of your names on it, such as driver’s licenses, insurance policies, etc. Q: Is it possible for my Common-Law partner to work in Canada once we submit our Common-Law Sponsorship application? A: It won’t be possible for your Common-Law partner to work in Canada right away once you submit your Common-Law Sponsorship application as the Immigration officer assessing the application must first determine whether the Common-Law partner is eligible for a work permit. If you are submitting your Common-Law Sponsorship from inside Canada, you may apply for an open-work permit for your Common-Law partner at the time of submitting your Common-Law Sponsorship application. However, this does not guarantee that your Common-Law partner will be able to work in Canada. Q: May I travel outside of Canada while I await the decision on my Common-Law Sponsorship? A: This entirely depends on what type of Common-Law Sponsorship you are applying for; whether it is an inland common-law sponsorship or an overseas common-law sponsorship. If you are a common-law partner that is currently living in Canada, you may want to re-apply to be sponsored from outside of Canada if you plan on travelling outside of Canada and do not plan on living with your partner in Canada. It is important to note that Common-Law Sponsorships require the partners to live together for a minimum of one year. If the partners are away from each other for long periods, they will not be eligible to apply under the Common-Law Sponsorship Family Class. Q: What is the processing time for my Common-Law Sponsorship application? A: Thankfully, Citizenship and Immigration Canada (CIC) have aimed to process Spousal and Common-Law Sponsorships within a 12 month period from the date of the receipt of the application. This goes for both inland and overseas applications. If you would like to help CIC to process your application as quickly as possible, they suggest making sure that the application is up to date and inform them on any updates with regards to the information on file. Additionally, they also recommend linking the application to your online account in order to quickly receive any communication and requests they may need from you. Q: Is it possible to withdraw my Common-Law Sponsorship application? A: It is possible to withdraw your Common-Law Sponsorship application. You must send your request to withdraw your application through the Immigration, Refugees and Citizenship Canada (IRCC)’s web form. You will have to provide personal information. You will also have to upload the electronic government receipt. However, if your Common-Law partner obtains permanent residence before you withdraw your application, unfortunately, Immigration cannot cancel the application. Should you have any further questions or feel confused or unclear about how to apply for a Common-Law Sponsorship, it is important to ask all and any questions you may have and discuss your concerns. By talking to immigration professionals about your concerns, this will ease your worries and assist with the Common-Law Sponsorship application process. Common-Law Sponsorship applications are difficult to pursue on your own, especially if you are unfamiliar; therefore, it is highly recommended that you seek out professional and experienced help before attempting to apply. Here, at Akrami & Associates, we work and have experience with many different immigration issues. We have helped many of our clients reunite with their Common-Law partners in Canada permanently and they are now enjoying their lives together. If you believe that you may be eligible to apply for a Common-Law Sponsorship, please feel free to contact Akrami & Associates at our office at 416-477-2545 for more information or if you would like to book a consultation with an immigration professional for more advice.